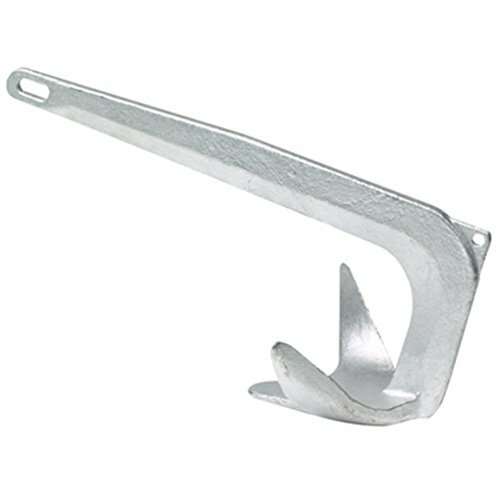 Why choose a MarineNow Galvanized Steel Bruce Style Anchor over Lewmar? The answer is easy. Our manufacturer actually supplies Lewmar anchors. That is right, we are buying our anchors from the same place that makes Lewmar anchors with the identical quality steel. * Boat size is listed for guidance only. Anchor sizing depends on many factors such as boat weight, windage, etc. When in doubt, move up a model size or two. Designed based on anchors used to secure oil rigs in the North Sea. 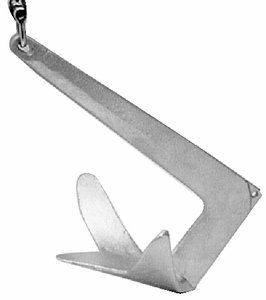 The Claw anchor is constructed of high-grade stainless steel. The Claw anchor sets effortlessly and holds in a variety of sea beds and stows easily on the bow roller of most boats. 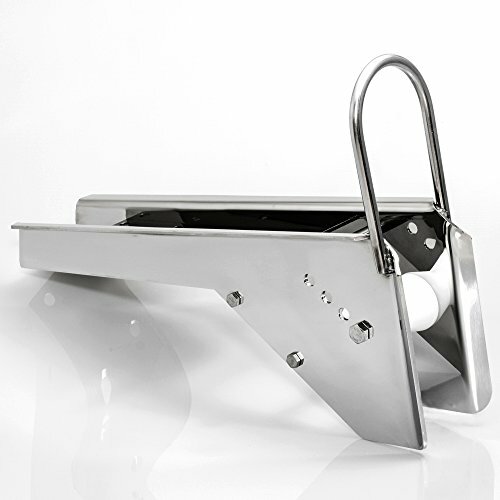 Why choose a MarineNow Stainless Steel Bruce Anchor over Lewmar? The answer is easy. Our manufacturer actually supplies Lewmar anchors and uses the EXACT SAME METAL. 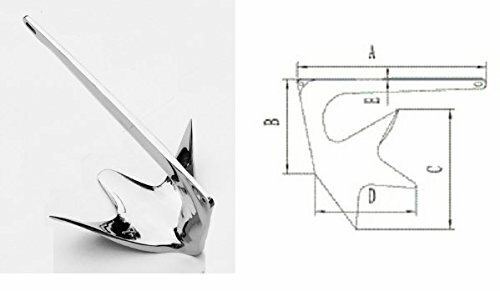 That is right, we are buying our anchors from the same place that makes Lewmar anchors with the identical quality stainless steel. * Boat size is listed for guidance only. Anchor sizing depends on many factors such as boat weight, windage, etc. When in doubt, move up a model size or two. 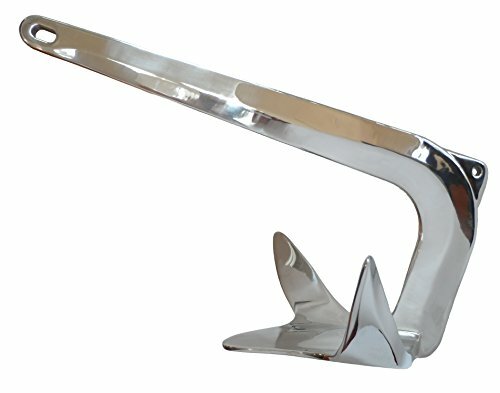 The 33 lb (15Kg) Stainless Steel, Precision Cast bruce style boat anchor, which is one of the most popular anchors among cruisers. Its unique design always engages the buttom ad digs in, so it stays buried as the boat swings. It stows easily on a bow roller and will set quickly. If it is dislodged, it also resets quickly. It is made of stainless steel without welde or moving parts, and is precision cast then polished to a mirror finish. This anchor is for boats under 40'. A= 26" B= 10-1/2" C= 17-3/4" D= 14" E= 3/4"
The Kingston Anchor 23 inch (58.4 cm) DELTA 23HB Bow Roller is handcrafted using Marine Grade U.S.A. Stainless Steel. It is a universal Anchor Bow Roller is designed for our patented QuickSet Plow anchor as well as Rocna anchors between 35 to 50 Lb/Pound (15.87-22.37 Kg/Kilograms). Also for Danforth, Lightweight, Slip-Ring, Fortress Fluke anchors between 35 to 60 Lb/Pound (15.87-27.21 Kg/Kilograms) and Bruce/Claw anchors between 22 to 44 Lb/Pound (9.97-19.95 Kg/Kilograms). Our Bow Rollers fit all models and makes of anchors including: Plow, Fluke, Danforth, Lightweight, Slip-Ring, Bruce and Claw Anchors. Kingston Anchors Limited is a leader in anchor design and the original patent holder for the QuickSet Plow Anchor. We have been manufacturing Anchors, Bow Rollers, Davits, Roller Wheels and providing Custom Fabrication since 1977. Manufactured in Canada. Built using U.S.A. Steel. The Kingston Anchor 23 inch (58.4 cm) DELTA 23EP Bow Roller is handcrafted using Marine Grade U.S.A. Stainless Steel. It is a universal Anchor Bow Roller is designed for our patented QuickSet Plow anchor as well as Rocna anchors between 35 to 50 Lb/Pound (15.87-22.37 Kg/Kilograms). Also for Danforth, Lightweight, Slip-Ring, Fortress Fluke anchors between 35 to 60 Lb/Pound (15.87-27.21 Kg/Kilograms) and Bruce/Claw anchors between 22 to 44 Lb/Pound (9.97-19.95 Kg/Kilograms). Our Bow Rollers fit all models and makes of anchors including: Plow, Fluke, Danforth, Lightweight, Slip-Ring, Bruce and Claw Anchors. Kingston Anchors Limited is a leader in anchor design and the original patent holder for the QuickSet Plow Anchor. We have been manufacturing Anchors, Bow Rollers, Davits, Roller Wheels and providing Custom Fabrication since 1977. Manufactured in Canada. Built using U.S.A. Steel. 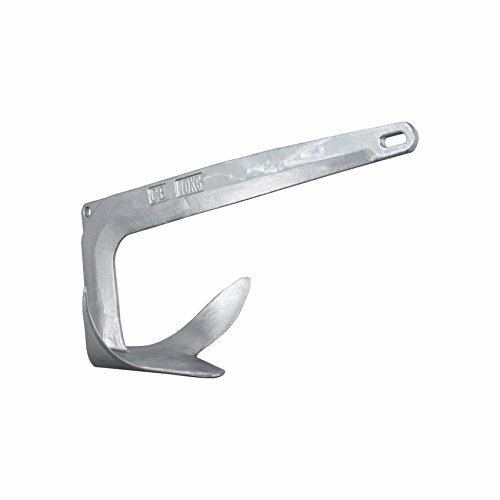 Compare prices on Bruce Style Anchor at Shopsimal.com – use promo codes and coupons for best offers and deals. We work hard to get you amazing deals and collect all avail hot offers online and represent it in one place for the customers. Now our visitors can leverage benefits of big brands and heavy discounts available for that day and for famous brands.